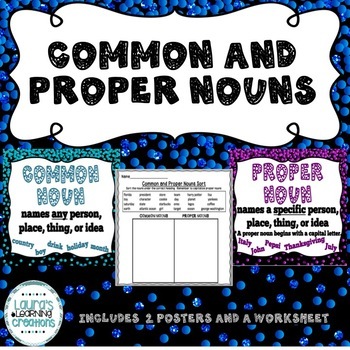 This resource includes two colorful posters displaying the definitions and examples of common and proper nouns. 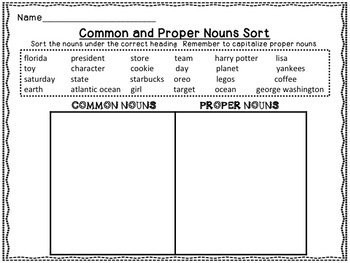 Students can practice identifying common and proper nouns by using the word sort worksheet. Student simply read the 24 words at the top of the paper, and sort them under the correct heading. 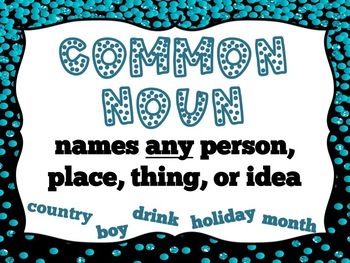 This is perfect for introducing the topic of common and proper nouns or for review!